Discussion in 'Disney Cruise Line Forum' started by Boardwalk Family, Feb 10, 2019. Greetings: We are 4A on a 7 day Fantasy Cruise coming up shortly. There are some concierge rooms available, not one room suites, just the CAT V?. Party of 4, 2 adults and 2 kids. Any idea what the cost difference or the cost will be if they are still available on the date of the cruise and if we can upgrade? Thanks!! When we sailed on the Fantasy in November, it would have cost us $2450 to upgrade from an 8B to a V, so it would definitely be less than that. How much less, I don't know. BTW, number of people doesn't matter, just the room category booked. Not the exact situation you were asking for, but when I asked about upgrades from Oceanview to Veranda two weeks ago on the Magic for a 5 day/4 night cruise, the price difference was over $500. The same price difference as I saw on the website. If that's the norm, I would suggest to just check the website for the price difference of what you have now and what you would like. The upgrade cost to Concierge is usually a much better deal than the upgrades between two standard rooms. Those are rarely a real discount over upgrading online, but you can save a lot upgrading to Concierge at the port. 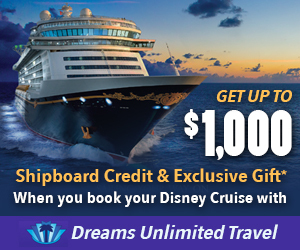 In 2017 we upgraded at port from a 4A to a cat V for $600 on a four night cruise on the Dream. I haven't attempted an upgrade lately but there was a huge savings on my last attempt- 2015 in Norway. I booked a deck 2 porthole and upgraded to a deck 7 balcony for $600ish. The room prior to sailing was $13,000 for two. Upgrades for concierge have gotten harder and harder to get these days. You have to hope that the rooms are not grabbed by back to back cruisers or families that take the early DCL transportation as they will both have access to the check in area before the port is opened up to everyone else. Then you have to get checked in and then move down to the superviser's desk in hopes that there are still some rooms left to upgrade. Here is a thread tracking port upgrades. If you do have the opportunity for an upgrade please post here ev n if you do not accept it since that helps others with the current costs. Here is one post from about a year ago for a Cat. 5A to a Cat T was $4500 on the 7 night. So it should be slightly less. You have to hope that the rooms are not grabbed by back to back cruisers or families that take the early DCL transportation as they will both have access to the check in area before the port is opened up to everyone else. The B2B part is true but the DCL busses are not always the first in the terminal. The B2B will be the the first in the terminal but many times the busses are later. They do have a different entrance but they arrive around the time they start letting people in from the bridge at the garage or after. With our last few cruises, not one bus had even arrived by the time we enter the terminal. It appears that the busses don’t have a completely reliable arrival time. An upgrade from a 4A to a Category V room should be around $1500-$2000.